Who? The Flying Monkey Wargaming Crew is hosting the event! The Flying Monkey Grand Tournament is a competitive 40k tournament taking place during the Flying Monkey Con. This tournament is the 4th of its kind! Expect some fun competition as we are expecting high caliber play taking place. Please be sure to look for official rulings/answered questions on our Facebook page, and also on our answered questions tab located on the far right of the website. Games will be played at 2,000 points, 3 detachment limit, Forge World is allowed. 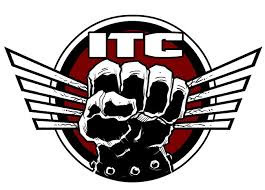 ITC Guidelines will be used, please click HERE to follow the link and find out what those guidelines are. Missions: ITC Champs missions click HERE to read them. Games will be submitted to the ITC through Best Coast Pairings, please see ITC Ranking to see where you are in the world rankings! RANKINGS. After you purchase your ticket we highly encourage you to go to the Best Coast Players App and upload your list. Here is a video on how to do that with the Battle Scribe App VIDEO. Round 4: 8:30 a.m. - 11:00 a.m. Round 5: 12:15 p.m. - 2:45 p.m. Round 6: 3:00 p.m. - 5:30 p.m.
Best general - Best combination of battle, paint, and sportsmanship points will determine the winner of Best General. 1st place - Individual with highest battle points. 2nd place - Individual with 2nd highest battle points. Best Sportsmanship Award - An individual who receives the most votes for best sportsman. Dead Freaking Last - The individual who scored the lowest overall battle points. Come Back Kid - The individual who lost 3 games day one, and won 3 games day two. Door Prizes: The ticket you purchase will have a number associated with it, we will randomly pick a number and award based on the number picked. If you buy your ticket sooner you increase your chance at getting door prizes. W.Y.S.I.W.Y.G - We want to strongly encourage the players to model their miniatures in a way that is fair to their opponent and is in the spirit of the game. We also encourage conversion work, that said if you have a conversion that might be questionable please email us at flyingmonekygt@gmail.com with photo's of the model. Rules/Book Cut Off - We will have a Two week cut off policy for all rules updates, FAQ's, and Supplements. The date will specifically be June 8th, 2019. 3 Color Minimum - The Flying Monkey GT maintains the policy that any model that is not painted to at least a 3 color minimum can and will be pulled from every game in which the model does not have the 3 color minimum rule. We realize this might seem harsh, but we feel like it is not in the spirit of the game to be played with models that do not have some level of effort put into painting the models. That said we will NOT pull models that we believe to be aesthetically unpleasing, everyone paints at different levels, all we ask is that you respect our wishes and feelings, and the feelings of your opponents who put a lot of care into the painting aspect of our hobby. Cheating - If it is found that you are intentionally cheating in any way at the Flying Monkey GT you will be immediately disqualified and asked to leave the Con.